Good afternoon, space fans! Welcome back to the week's news from outside the atmosphere. "Today is a new day with limitless possibilities to do great things. Good morning from the International Space Station!" This week, the two astronauts who conducted last week's spacewalk were allowed to rest a bit, while also preparing for the arrival of a new supply ship. 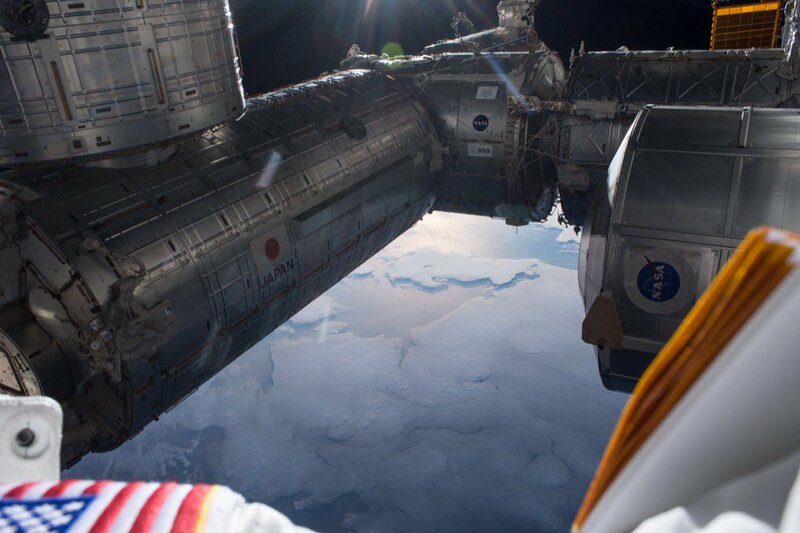 NASA astronauts Scott Kelly and Kjell Lindgren, as well as JAXA astronaut Kimiya Yui, worked in the Quest airlock to organize and stow gear used on the successful maintenance spacewalk. They also scrubbed the cooling loops in the spacesuits they used for the job. before you next step out the door into the void. explaining it was a favorite from his recent extravehicular activity. The Russian segment of the station was hard at work as well, with cosmonauts examining a number of experiments. Cosmonaut Oleg Kononenko worked on an experiment that deals with the electromagnetic effects of space on the station's hardware. One-Year Crew member Mikhail Kornienko worked on an experiment analyzing human digestion in space. He also examined different surfaces on the station, as well as the station atmosphere, to discern what, if any, strange microbes may exist there. The Russians also gathered more data for an experiment regarding the maintenance and improvement of spacecraft piloting skills. And, as part of his usual excellent photo-documentation from his year-long mission, astronaut Kelly captured Paris in a flyby, posting this image in tribute to those lost in this week's terrorist attacks. If only those who would commit such crimes could see how beautiful Earth is from above, where human differences can't really be noted. 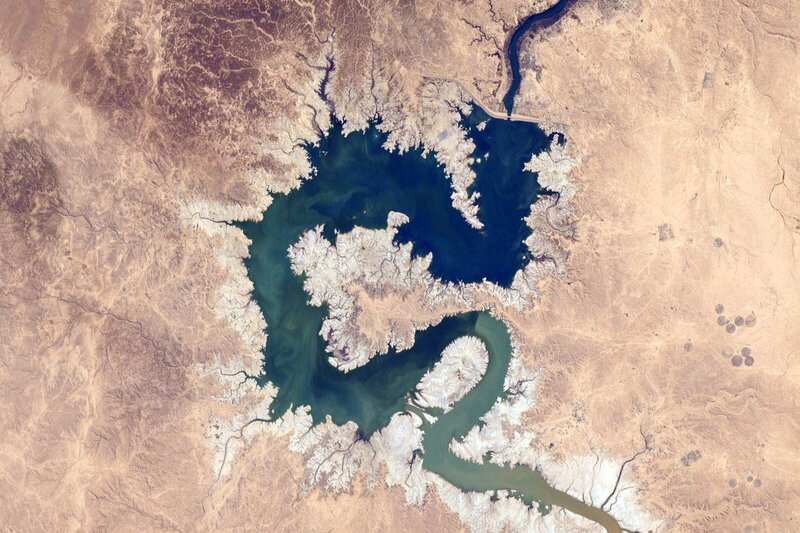 A reservoir in Iraq, observed by astronaut Lindgren. That's all for this week, space fans! We'll see you next week...watch this space! who passed away last month. Hear the full story here.